Some people are just avid gardeners and have a green thumb. And then there are those who love water in the landscape and wear a blue thumb! 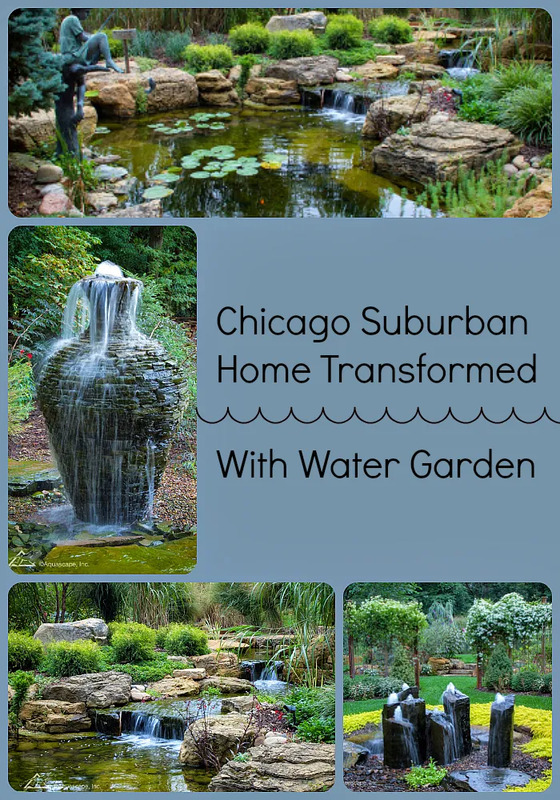 Such is the case for this suburban Chicago homeowner who filled his landscape with waterfalls, fountains, and a pond. An ecosystem pond can be low-maintenance if you include fish and aquatic plants to help balance the water quality. A beautiful waterfall helps to aerate the pond and drown out nearby traffic noise. A wooden bridge invites you to explore further. A stacked slate fountain urn becomes architecture in the garden. A group of basalt columns take center stage in this lush garden.